When it’s raining we need to have a different drops depends on material. 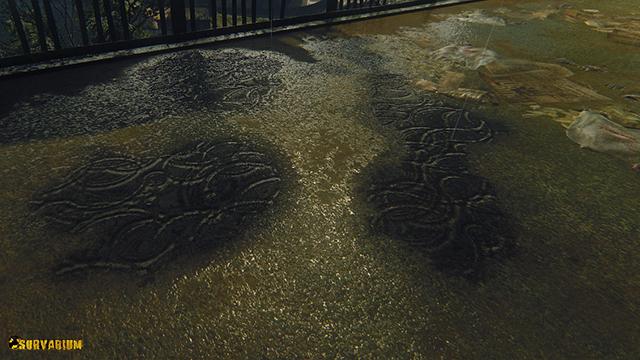 To do this we can use the smoothmap to control surface, more smoother surface we have, more differen drops we will have. 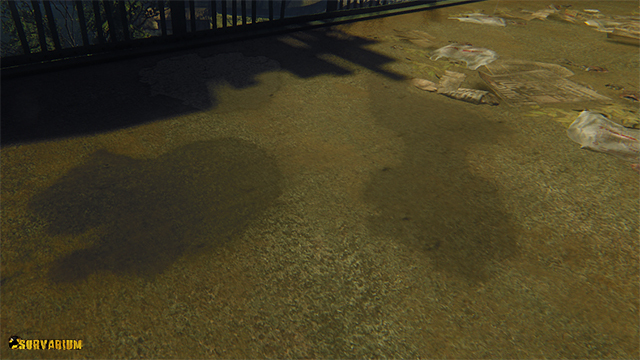 This is the result without smoothmap using. We see the same type drops everywhere. 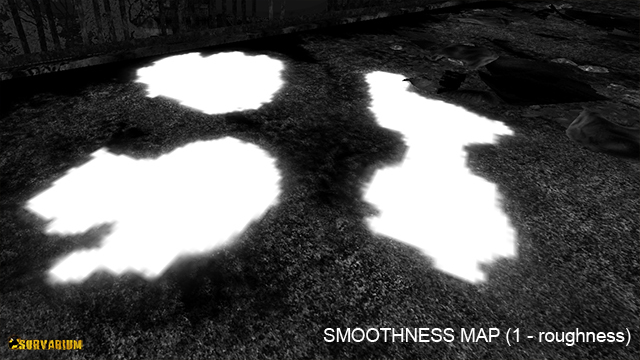 Here we set the smoothmap to to determine where surface is rough and where no. 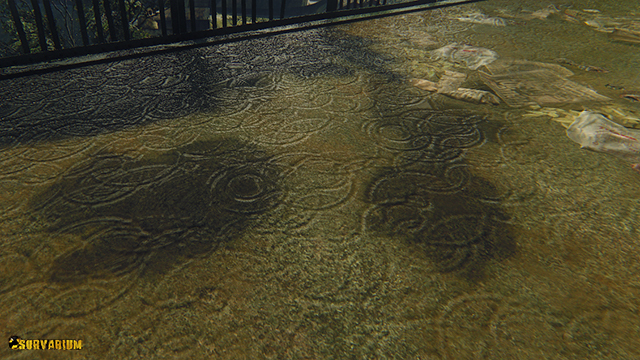 Also we need to make a dual texture. 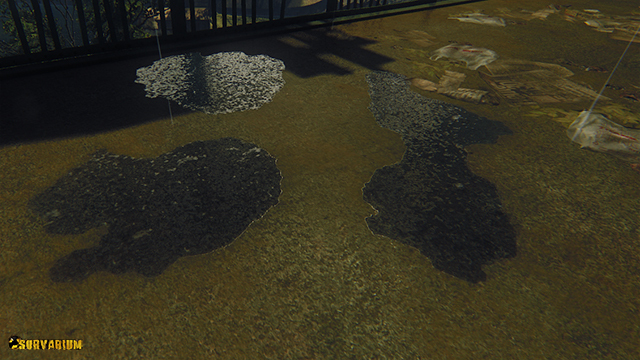 And here is the finished result, now we can see that on the asphalt we have own drops and on the puddle own.